The world is shifting to mobile computing. With smartphones and tablets getting almost as powerful as PC’s, it’s no wonder that desktop sales are declining. However, there’s nothing like a laptop computer. The power and functionality of a desktop, in a portable package. When we’re looking to buy a laptop, battery backup is one of the biggest factors to consider. Be it a laptop, netbook or ultrabook, there’s always a few things we can do to further extend the battery life. By keeping a few simple things in mind or tweaking settings a bit, we can make sure the battery lasts longer. So here’s how to increase laptop battery backup in 8 easy ways! 1. Get rid of bloatware: First and foremost, get rid of all the useless software that comes bundled with laptops. You really don’t need all those monitors, recovery solutions and such, there are far better, lighter and free data recovery alternatives available. All of these programs running in the background not only slow down your computer, but also use up precious processing power which in turn depletes the battery. Even make sure that there are only essential items in startup, you don’t need iTunes Helper, Adobe Updater and stuff to startup with your PC. 2. Tone down the screen brightness: Probably the easiest and most obvious way to increase laptop battery backup is to reduce screen brightness. The same applies to any mobile device, in fact. Turn down the brightness to a comfortable, usable level and of course don’t make it bright enough to light up a whole room. 3. Unplug external devices and empty disc drives: External devices like a USB external HDD, an iPod or mouse use power from the laptop to run. Therefore, unplug them so that all the battery power is used just for your laptop. If you want to watch a movie from removable media, copy it to your HDD and unplug the external device. Not only is it faster, that’s one less device using up previous battery power. Similarly, if you’re not using the optical disc drive, remove any discs from it because even if it’s not being read from or written on, the disc drive keeps spinning and using power. 4. Avoid multimedia content and using speakers: Gaming or watching high def movies on battery power is not a good idea, it eats up battery really fast. The graphics card works overtime and requires more power to render graphics or frames in a movie, specially high definition ones. As much as possible, mute the sounds as well or use earphones/headphones while watching a movie. 5. Turn off connectivity services: When you’re not surfing the internet through Wi-Fi or transferring data through Bluetooth, turn them off to save battery power. Turning them on or off is just a key press away on modern laptops and shouldn’t be too cumbersome. Both these services require considerable power. 6. Tweak power options: Laptops have multiple power options and some even come with company optimized ones. Try using the power saver option when you want to extend battery life, and change the time before the laptop switches off display and hard disks or goes to sleep. About 15 minutes or so will do just fine. Although, keep in mind that if you select to turn off the hard drives after a certain time, ongoing operations might be interrupted. So if you’re doing something important involving constant use of the hard drives on battery power, make sure to move the mouse once in a while. 7. Hibernate, not Sleep: If you’re looking to resume work after a break, make sure to put the laptop to Hibernate and not Sleep. Sleep mode simply turns off drives and display but memory and such keeps running. Thus, battery is still being consumed. Hibernate on the other hand, saves the current state and turns off components, thus power is conserved. 8. Update drivers: Although it’s not considered a direct connection, most newer drivers help devices perform more efficiently and thus consume less power. Furthermore, they can even offload processing tasks to specific components and not stress the CPU. Increase your laptops run time by buying a quality laptop battery made with advanced li-ion cells designed to increase both power capacity and service life. SafeBatteries.com is a laptop battery store that sells both 6 cell and 9 cell laptop batteries that increase run time by 30% when compared to the typical 6 cell 4400mAh replacement laptop batteries. Our 6 cell laptop batteries rate massive 5800mAh /62Wh and our extended batteries provide 94Wh. So that was how to increase laptop battery backup in 8 easy ways. Individually they might not make much of a difference, but if applied together, it can considerably increase battery backup and life. 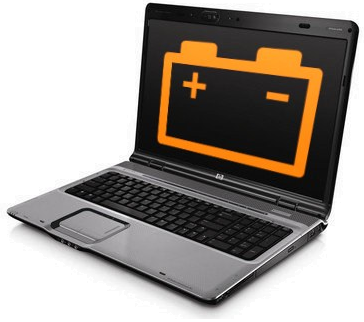 A common misconception is that laptop batteries have to be completely charged and discharged to ensure a long life. This is not true, modern lithium ion batteries are not affected by partial charges and discharges, although older nickel metal hydride batteries used to be. Do let us know if there’s anything else you do to save battery and as always, comments and suggestions are welcome! its really helpful post those who work on laptop one of the most problem in laptop is Battery Backup but after reading this post now i will able to Increase battery backup.. thanks for sharing this helpful post ….!!!! !